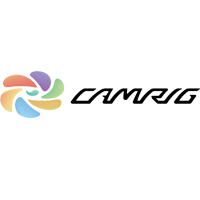 Introducing the CAMRIG HD3 Line Mount. Our newest product has been designed specifically for the GoPro HERO3 and HERO3+ and Hero 4, 5 and the new Hero 6. Your camera sits between the lines, ensuring stable and clear photos and video! The HD3 Line Mount is compatible with the GoPro Hero 3, 3+, 4, 5 and the new 6. Due to the square lens on the camera housing, no previous version of the GoPro camera will fit properly. This is a very easy to use line mount that gives the best angle and point of view for your gopro. Easily adjustable to change the distance from the rider and easy to remove. Love it.